In den weiten des Alls gibt es Dinge, die die Menschheit noch nicht kennt. Darunter die Weltraumkluft, in welcher die Weltraummafia Maku ihren Stützpunkt hat. Diese böse Organisation will die Erde kolonisieren und beginnt ihren Angriff mit der Zerstörung der irdischen Weltraumstation. Um die Erde vor den Maku zu schützen, entsended die die Galaktische Föderation den Weltraumsheriff Gavan, der mit seinem High-Tech-Anzug den Kampf gegen die Maku aufnimmt. Unerwartete Hilfe erhält er dabei von Mimi, der Tochter seines Vorgesetzen. Maku entführt, unter dem Deckelmantel der Organisation "Alpha", einen Öltanker und erpresst die japanische Regierung: Sollten sie keine große Anzahl von Diamanten mit einer Rakete ins All schießen, so wird der Tanker überhalb von Tokyo explodieren und die Stadt zerstören. Als Gavan von der Rakete und der Ladung erfährt, vermutet er sofort Maku hinter der Alpha Organisation und nimmt den Kampf erneut auf. Dabei ist Eile geboten, den die Regierung ist dabei der nächsten Forderung nachzukommen: Alpha will den heiligen Berg Fuji. Interessante Serie, die ich gerne weiterverfolgen würde. Aber was die Sets und Kostüme angeht ist die Serie trashiger als alle 70er Jahre Rider-Staffeln zusammen. 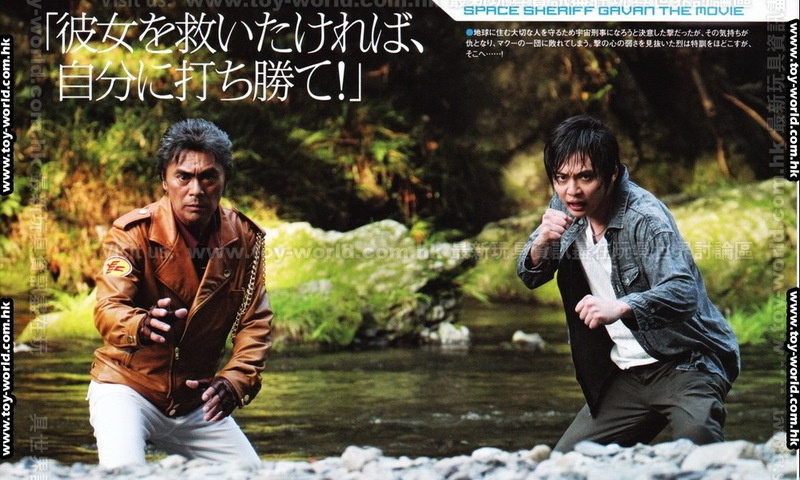 New Space Sheriff Movie Coming Soon, Kenji Ohba Getting Replaced? With the leak of the last quarter Super Sentai toys, rumors start spreading on the Japanese website 2ch that a new Metal Hero film, specifically in the Space Sheriff Trilogy, is currently in the works. The toy listings above could back those up. Come to think of it, Bandai won't release a new figure or toy without a new show or movie to promote it for kids, their target audiences. Next figures to be released are MHS Sharivan and MHS Shaider, both for 1090 yen each. 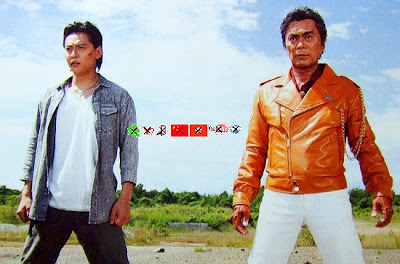 According to some 2ch posters, they saw a filming with a younger guy wearing a jacket similar to Space Sheriff Gavan's Kenji Ohba. It is said that the young guy will be the new Gavan, and will be inheriting its powers from Retsu Ichijouji. Please take these rumors with a grain of salt. Nanbu Kogyo Group started pre-selling of tickets for the upcoming film temporarily entitled Uchuu Keiji Gavan THE MOVIE. It was earlier reported that a filming of a new Metal Hero film is currently in the works. According to some 2ch posters, they saw a filming with a younger guy wearing a jacket similar to Space Sheriff Gavan's Kenji Ohba. 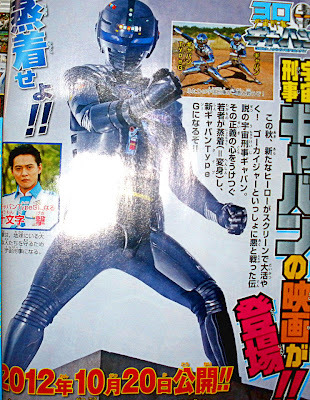 It is said that the young guy will be the new Gavan, and will be inheriting its powers from Retsu Ichijouji. Uchuu Keiji Gavan THE MOVIE premieres October 20th. What a good news to start the day! Here is our first look at the new Space Sheriff Gavan, played by Yuma Ishigaki (Gokusen, Hana Kimi, Azumi) as Geki Jumonji. For the first time after 29 years, Uchuu Keiji Gavan will star on a film that premieres this October! Included in the cast is Nagaoka Takuya (Decade's Faiz World) as Jumonji’s partner, Okuma Toya; and, Suzuka Morita (Samurai Sentai Shinkenger) as the heroine of the film, Sherry, and supposed love interest of Jumonji. The film was made possible after the success and popularity of the character to new audiences after “Kaizoku Sentai Gokaiger vs Uchuu Keiji Gavan” earlier this year. The film will be directed by Osamu Kaneda (Let’s Go KAMEN RIDERS, Super Hero Taisen) and written by Yuji Kobayashi (Ultraman Max, Gekiranger). According to previous rumors, Jyumonji Geki will be inheriting its powers from Retsu Ichijouji, and will be the hero who will take over the codename Space Sheriff Gavan. Uchuu Keiji Gavan The Movie premieres on October 20th. 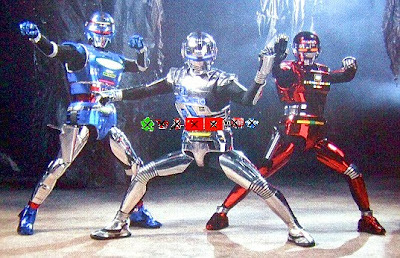 Yay, the Metal Heroes ritansu! Japanese newspapers began publishing the news about the new Uchuu Keiji Gavan played by Yuma Ishigaki (Gokusen, Hana Kimi, Azumi) as Geki Jumonji. In the image above, he is shown doing the transformation sequence with Kenji Ohba. Uchuu Keiji Gavan The Movie premieres on October 20th. To celebrate its 30th Anniversary this year, TOEI will be releasing a “Space Sheriff Gavan 30th Anniversary Memorial DVD” this September. Gavan stars Kenji Ohba and Wakiko Kano reunite on the release's press conference. The Memorial DVD contains 70 minutes of footage, featuring the highlights of the series. This also includes TV spots, OP & ED, trailers, and audio commentary. As a bonus, first press release of the DVD will include a 32-page booklet, explaining the Space Sheriff Gavan series. The new Uchuu Keiji Gavan will be played by Yuma Ishigaki, as Geki Jumonji. Also starring in the film are Nagaoka Takuya (Decade's Faiz World) as Jumonji’s partner, Okuma Toya; and, Suzuka Morita (Samurai Sentai Shinkenger) as the heroine of the film, Sherry, and supposed love interest of Jumonji. Ich freu mich schon auf den neuen Film! 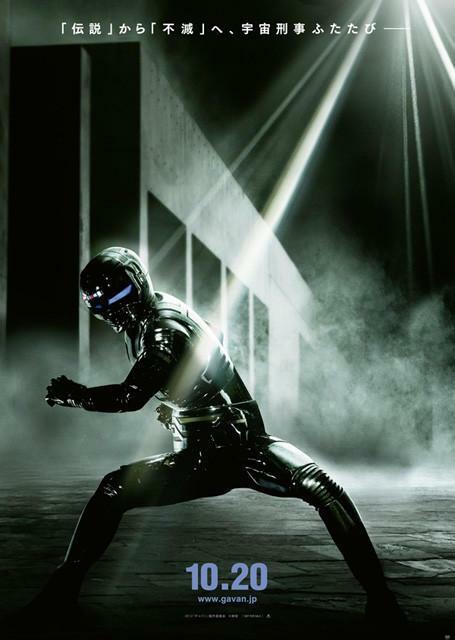 The latest Japanese magazine image for the upcoming Space Sheriff Gavan THE MOVIE had revealed that Geki Jumonji (played by Yuma Ishigaki) will be called Uchuu Keiji Gavan Type-G. Included in the cast is Nagaoka Takuya (Decade's Faiz World) as Jumonji’s partner, Okuma Toya; and, Suzuka Morita (Samurai Sentai Shinkenger) as the heroine of the film, Sherry, and supposed love interest of Jumonji. The original Gavan, Retsu Ichijouji, played by Kenji Ohba is also included. 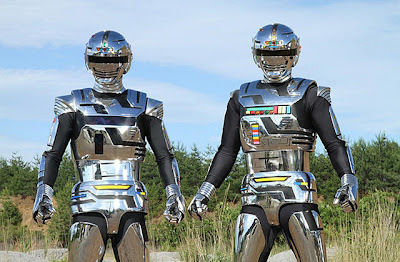 Space Sheriff Gavan The Movie premieres on October 20th. Freu mich schon richtig auf den neuen Gavan. Wurde mal wieder Zeit das die Space Sherrifs aus der Versenkung zurück kehren. After lots of waiting, here is the summary for the upcoming Space Sheriff Gavan THE MOVIE, starring Yuuma Ishigaki as Gavan Type-G. The lead cast, which includes familiar tokusatsu faces, have also been revealed! Retsu Ichijouji (Uchuu Keiji Gavan) is now a special detective for the Galactic Federation Police and Geki trains as his replacement. Sherry joins SARD, an organization who’s mission is to help further space exploration and works alongside JAXA. She helps design a new Dolgiran with SARD. Sherry’s aunt, Eleena, is the secretary to Commander Com, the leader of the Galactic Federation Police. Itsuki, another childhood friend of Geki, joins SARD as a Physics Research Developer. Gavan has a new attack called the Gavan Hyper Dynamic. The Space Mafia Maku returns and plans on creating a wormhole. The Lizard Doubler monster is currently being dealt with by two other famous Space Sheriffs! Included in the cast are familiar faces who previously played roles in tokusatsu before. Yukari Taki, previously played as Aoi Katsuragi in Kamen Rider Accel film. Suzuka Morita previously stars as Kotoha / ShinkenYellow of Shinkenger. 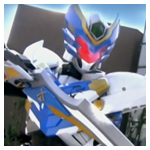 Nagaoka Takuya was Shirogane, the Centipede Orphnoch in Kamen Rider Decade. Honoka, previously played as Malshina in Akibaranger. And Sanae Hitomi is a popular suit actress. meint ihr der film läuft noch in der zeit vom 9.11. bis 02.12. in den japanischen kinos? bin zu der zeit in japan und würde ihn mir sehr gerne ansehen. Der Film kommt am 20 Oktober in die japanischen Kinos. Vondaher würde ich schon davon ausgehen, dass der Film dann noch läuft. Following her tokusatsu appearance in Kamen Rider W RETURNS: Kamen Rider Accel, Yukari Taki now joins the cast of the upcoming Space Sheriff Gavan THE MOVIE, as the lead heroine, Itsuki Kawai. Itsuki Kawai is Physics Research Developer SARD. It was previously reported that Sherry, played by Suzuka Morita, will be the film's main heroine. The character will now play as a support, as Geki Jumonji's childhood friend and the one who'll design the new Dol Giran. Furthermore, a new image of the film's villains have been leaked. This shows the new members of Space Mafia Maku led by Kill Witch, played by Sanae Hitomi. Also seen are two unnamed monsters. It is said that the Lizard Doubler monster is currently being dealt with by two other famous Space Sheriffs! Eine Verwandte von Rita verbündet sich mit dem Bruder von Master Xandred? Der Gavan-Suit wirkt auf dem Bild ziemlich nice. Bin gespannt wie der in Aktion rüberkommt. 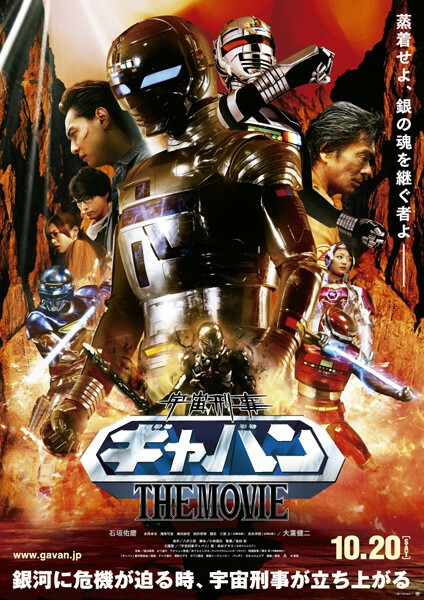 A brand new poster for the upcoming Space Sheriff Gavan THE MOVIE have finally been unveiled! This confirms the appearance of the other two Space Sheriffs, Sharivan and Shaider. 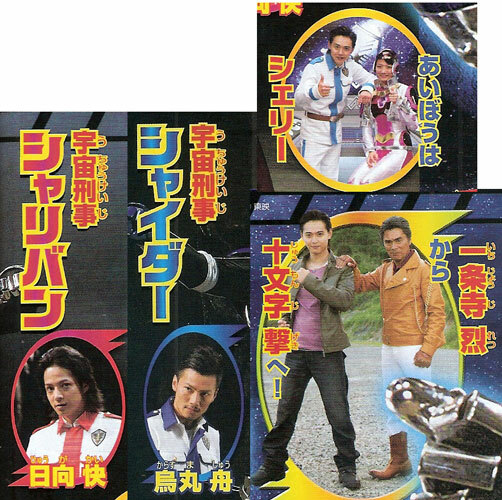 It has also been confirmed that Gekiranger's Riki Miura will play as the new Space Sheriff Sharivan, Kai Hyouga, and Tomica Hero Rescue Force and Kamen Rider OOO's Hiroaki Iwanaga as the new Space Sheriff Shaider, Karasuma Shu. Retsu Ichijouji (Uchuu Keiji Gavan) is now a special detective for the Galactic Federation Police and trains Geki Jumonji a.k.a Gavan Type-G as his replacement. 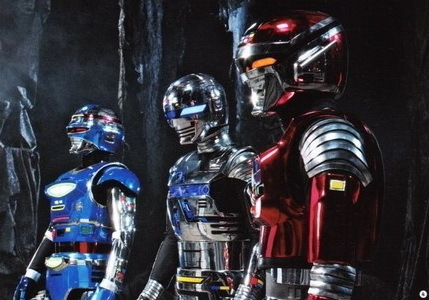 The film is to commemorate the 30th Anniversary of the said Metal Hero series. The film was made possible after the success and popularity of the character to new audiences after “Kaizoku Sentai Gokaiger vs Uchuu Keiji Gavan” earlier this year. It is directed by Osamu Kaneda (Let’s Go KAMEN RIDERS, Super Hero Taisen), with scripts written by Yuji Kobayashi (Ultraman Max, Gekiranger). Das Poster rult. Viel besser als das, was man von KR und SuSe gewöhnt ist. Ich muss mal wieder das Spiel reinwerfen, sonnst werde ich noch bis zum DVD Realese Wahnsinnig. Mr.S von CSToys hat sich mit Kenji Ohba höchst persönlich zusammen gesetzt um über den neuen Gavan Film zu sprechen. The 175th issue of Figure-Oh Magazine had revealed new images for the upcoming Space Sheriff Gavan THE MOVIE centering around the returning and new characters for the Metal Hero 30th Anniversary film. Here are the main characters from the Galactic Federation Headquarters. From left to right are Hiroaki Iwanaga as Karasuma Shu, the new Shaider, Riki Miura as Kai Hyouga, the new Sharivan, Eleena played by Honoka, Commander Qom played by Toshiaki Nishizawa, Suzuka Morita as Shelly, and our main hero Yuma Ishigaki as Geki Jumonji / Gavan Type-G.
Shaider and Sherry will be the seniors in the movie. Sherry also has a special Laser Vision ability from her pendant that enables her to transform into a parrot to guide Gavan. Now, let's check out the villains from the film, the Space Mafia Maku. Sanae Hitomi plays as Witch Kill. She was previously the suit actor for Heat Dopant, Nadeshiko in Movie Wars MEGAMAX, GekiYellow, and Skydain in Kamen Rider Fourze the Movie: Everyone, It's Space Time! Maku's base is a satellite floating around the Earth's orbit called, Sorajo. Along with Witch Kill are Zan Bardo, Brighton and Lizard Doubler. Zan's body is made of the wrath of previous Doublers, while Witch Kill belongs to a clan of witches. Brighton is a great swordsman leading the Maku. And lastly, Lizard Doubler is a hell executioner armed with a sword and shield. 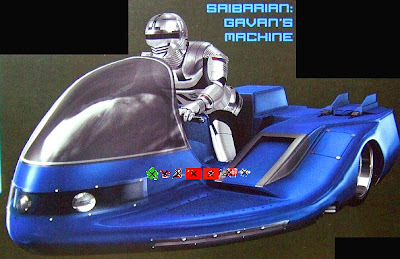 Gavan Type-G will also get his very own vehicle, the blue Saibarian, which is a bit different from the original red Cyberian. Lastly, here are the two Sofubi Shaider and Sharivan (previously seen on Sentai toy catalogs) will be released this October for 1050 Yen. Retsu Ichijouji (Uchuu Keiji Gavan) is now a special detective for the Galactic Federation Police and trains Geki Jumonji a.k.a Gavan Type-G as his replacement. Directed by Osamu Kaneda (Let’s Go KAMEN RIDERS, Super Hero Taisen), with scripts written by Yuji Kobayashi (Ultraman Max, Gekiranger), Space Sheriff Gavan The Movie premieres on October 20th. 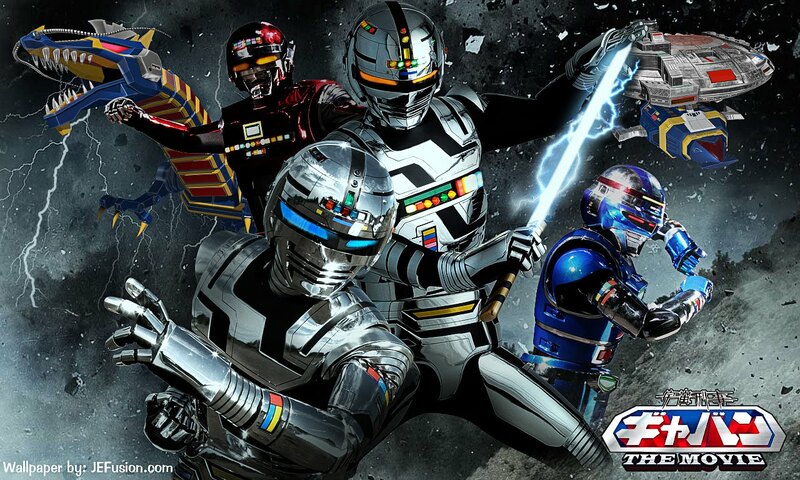 Since Space Sheriff Gavan will have a movie next month and his successor, Gavan Type-G will make an appearance later this month on Tokumei Sentai Go-Busters, here are some new scans for the upcoming movie. 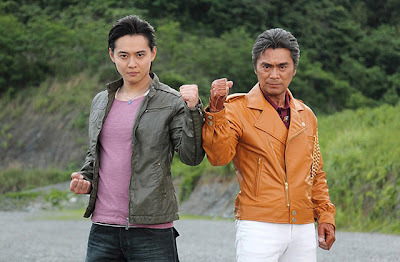 Aside from the two Gavans, this movie will also mark the debuts of the two men who inherited Den Iga and Dai Sawamura's respective code names, Sharivan and Shaider and they are Kai Hyoga (played by Juken Sentai Gekiranger's Riki Miura) and Shu Karasuma (played by Kamen Rider OOO's Hiroaki Iwanaga). 15 years ago, three childhood friends, Geki, Sherry and Okuma, were star-gazing and became inspired to go into space. 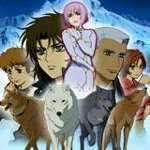 As adults, Geki and Okuma join a mission to Mars, but their space shuttle goes missing before they could reach their destination. A year later, a monster attacks and a mysterious silver-colored warrior appears. Space Sheriff Gavan the Movie premieres this October 20th. Ich freu mich auf den Film. Endlich sieht mal wieder den Actor vom GekiViolet in Aktion. 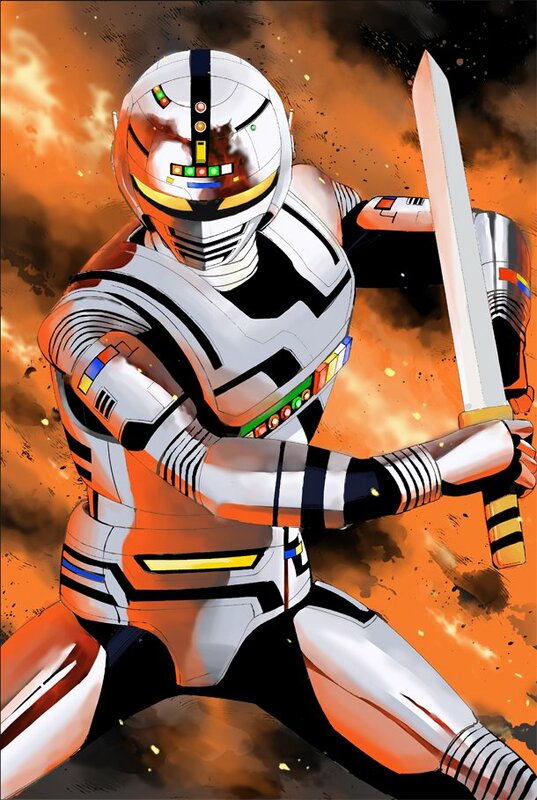 In line with the Space Sheriff Gavan THE MOVIE, Akita Shoten will be releasing a special site for the Space Sheriff Gavan THE COMIC web manga that will be released this October 17th in a weekly basis. This will be produced by Tooru Fujisawa (GTO, Shonan Junai Gumi, GTR) with illustrations done by Masaki Ota (Silent Blood). The web manga chapters will be released every Wednesday starting October 17th. 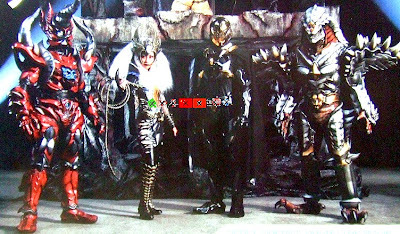 In addition, here are some new images for the upcoming Metal Hero 30th Anniversary film. This is Blidon, a Black Knight that leads the Space Crime Syndicate Makuu. He tends to reorganize the Makuu, to do that he targets Itsuki Kawai. They are in a secret mission to bring back Don Horror, but how will they do it? Retsu Ichijouji (Uchuu Keiji Gavan) is now a special detective for the Galactic Federation Police and trains Geki Jumonji a.k.a Gavan Type-G as his replacement. Apart from Blidon, Makuu is composed of Zan Vardon, Witch Kill and Lizard Doubler. Zan's body is made of the wrath of previous Doublers, while Witch Kill (Sanae Hitomi) belongs to a clan of witches. And lastly, Lizard Doubler is a hell executioner armed with a sword and shield. The new generation of Space Sheriffs. From left to right are Karasuma Shu (Hiroaki Iwanaga) — the new Shaider, Geki Jumonji (Yuma Ishigaki) — Gavan TYPE-G, and Kai Hyouga (Riki Miura) — the new Sharivan. These three will try to put an end to the evil Space Crime Syndicate Makuu. Directed by Osamu Kaneda (Let’s Go KAMEN RIDERS, Super Hero Taisen), with scripts written by Yuji Kobayashi (Ultraman Max, Gekiranger), Space Sheriff Gavan The Movie premieres on October 20th. Days before the opening of its feature film, the title for the upcoming Space Sheriff Gavan web manga project have finally been revealed. To be called “Space Sheriff Gavan -Dark Hero-” 宇宙刑事ギャバン‐黒き英雄‐, it will be released in a weekly basis, starting this October 17th. Space Sheriff Gavan THE MOVIE scriptwriter Yuji Kobayashi (Ultraman Max, Gekiranger) will also be writing for Space Sheriff Gavan -Dark Hero-. It will be directed by Tooru Fujisawa (GTO, Shonan Junai Gumi, GTR) with art and illustrations done by Masaki Ota (Silent Blood). Both are known to be tokusatsu fans. Additional details including the synopsis of the manga is yet to be revealed. Akita Shoten's special website for the “Space Sheriff Gavan -Dark Hero-” will be releasing the manga, every Wednesdays, starting October 17th, free of charge. 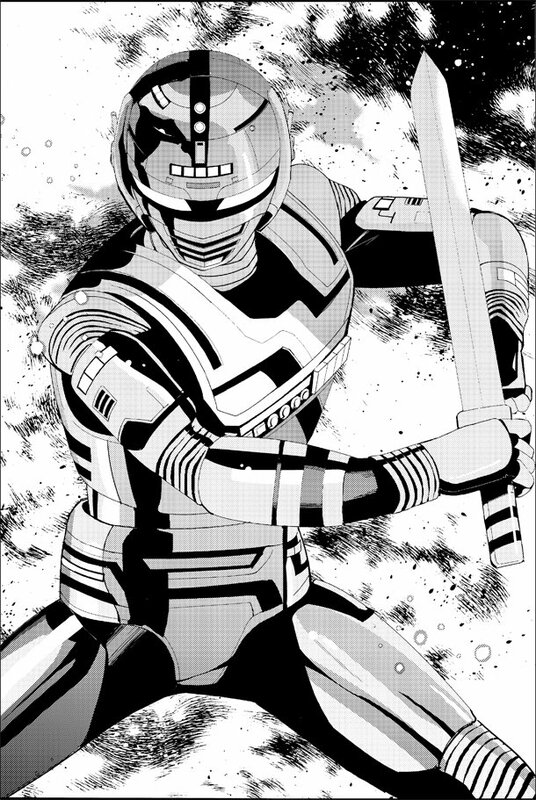 On October 17th, the first chapter of the ongoing Space Sheriff Gavan THE COMIC have been released. Along with it, are new information on the upcoming release of Space Sheriff Gavan THE NOVEL. There will be two novels to be released this October and both will act as a prologue to the upcoming film, Space Sheriff Gavan THE MOVIE, and written by the movie's scriptwriter, Yuji Kobayashi. First up is the “Space Sheriff Gavan THE NOVEL”. Retsu Ichijoji tries to find a space detective named Julia. Meanwhile, Sherry and Mimi were attacked by a criminal syndicate Metos, which hijacked the Dolgiran. 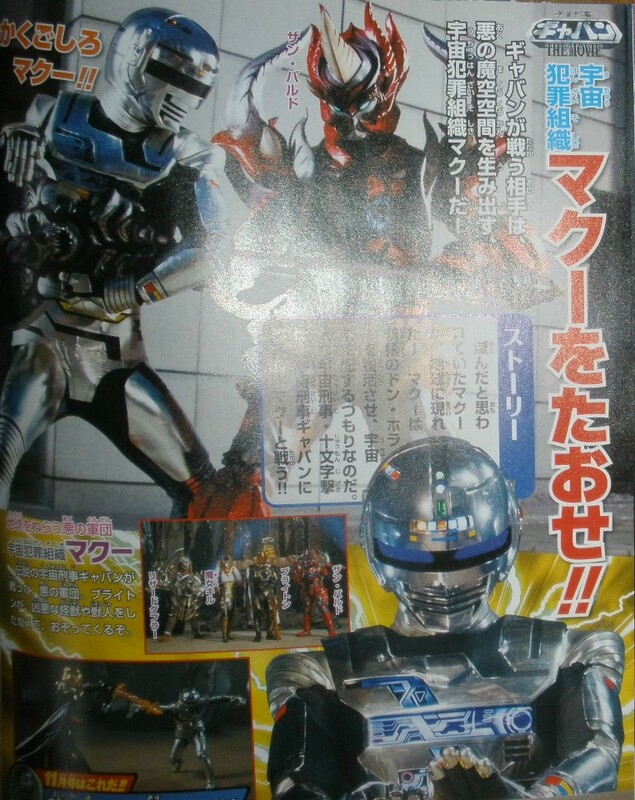 Without it, Gavan cannot transform, but he and Julia’s brother are challenged to fight Metos. How can he win without transforming? 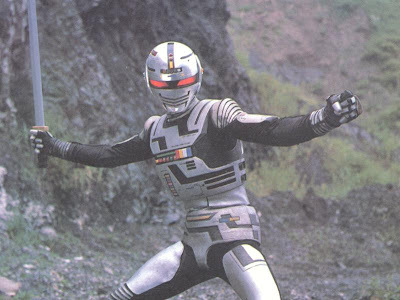 Lastly, the “Space Sheriff Gavan typeG THE BEGINNING” tells the story of Geki Jumonji and Sherry's first mission. They are tasked to salvage a sensitive data in a craft that crash landed a primitive planet. While in a pinch, a silvery suit appeared! 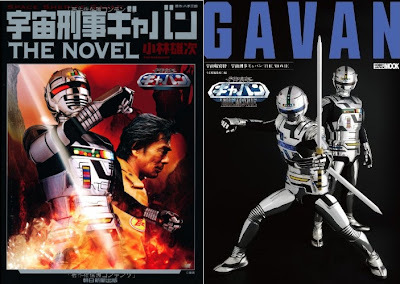 “Space Sheriff Gavan THE NOVEL” was released last October 5th for 1050 yen, while “Space Sheriff Gavan typeG THE BEGINNING” will be released on October 20th for 2500 yen. Nach den 2 GoBusters Folgen mit Gavan habe ich richtig lust auf mehr bekommen, freue mich schon auf den Film. On October 20th, the 30th anniversary celebration of the Metal Heroes series, Space Sheriff Gavan THE MOVIE premiered in Japanese theaters. With that, spoilers from message and image boards began to surface! First up are some quick information on the prequel novel, “Space Sheriff Gavan THE NOVEL” and “Space Sheriff Gavan typeG THE BEGINNING”. 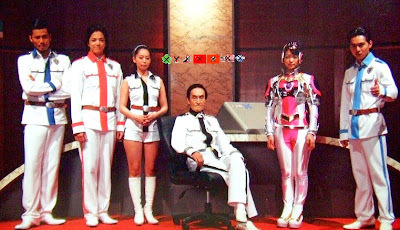 The Gavan novel took place directly after the TV series, neglecting events from Sharivan, and the Shaider special (Retsu is not married to Mimi). Retsu is a special police investigator, and Mimi becomes a teacher in Planet Bird. Meanwhile, Den Iga / Sharivan retires as a Space Sheriff to rebuild his home planet. 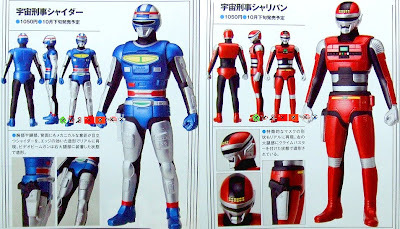 Gavan Bootleg was also mentioned, as well as a guy called Space Sheriff Alan. Retsu also reunites with Avalon club and meets with Kojiro Aoyama's (UFO guy) children. 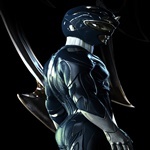 It was also revealed that Geki Jumonji was not Retsu's original choice to succeed him, but his classmate Julia, who have a combat suit that can be utilized by the code "Kousou". This means that there are mass produced combat suits, and much more advanced than Gavan's. And now we go to the Space Sheriff Gavan THE MOVIE spoilers. Geki Jumonji, Toya Okuma and Itsuki Kawai worked for SARD. Geki and Toya went missing in a black hole. Years later the Space Crime Syndicate Makuu shows up with Blidon, a knight clad in black armor leading the group. A new Space Sheriff comes to Earth to investigate. 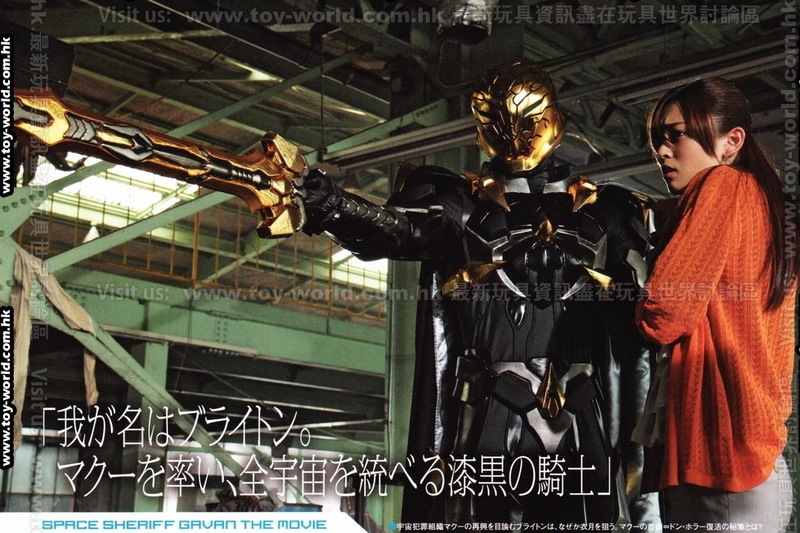 This new Space Sheriff is Geki! He later met with Itsuki. They both talked about the past and Geki tells her his mission. Blidon shows up and beat Geki. It is revealed that Blidon is their friend Toya. Retsu shows up and talked to the injured Geki. 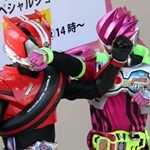 Geki and Retsu both fought side by side against the Makuu. Retsu hands over the codename to Geki. Geki went into Makuu Space to take on Blidon, and beats him. Witch Kill attacks Geki, but he cannot handle it by himself. Sharivan and Shaider comes along to help, and the three Space Sheriffs defeated the Space Crime Syndicate. Geki returns to Itsuki, saying there are still Makuu out there and leaves Earth, ending the movie. The end of the movie also featured a new trailer for Kamen Rider Fourze and Wizard Movie Wars ULTIMATUM, featuring new scenes with Kamen Riders W and OOO. 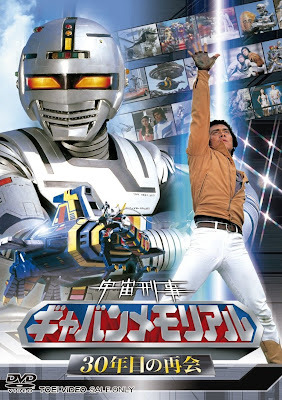 CDJapan began taking pre-orders for the Blu-ray and DVD home video release of Space Sheriff Gavan the Movie. It is set to be released on February 21, 2013. 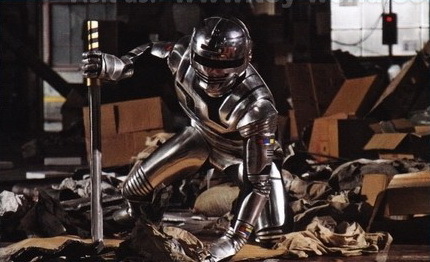 The movie commemorates the 30th Anniversary of the Metal Hero franchise. Retsu Ichijouji aka Space Sheriff Gavan has been training Geki Jumonji as his replacement to fight against evil leader, Don Horror. 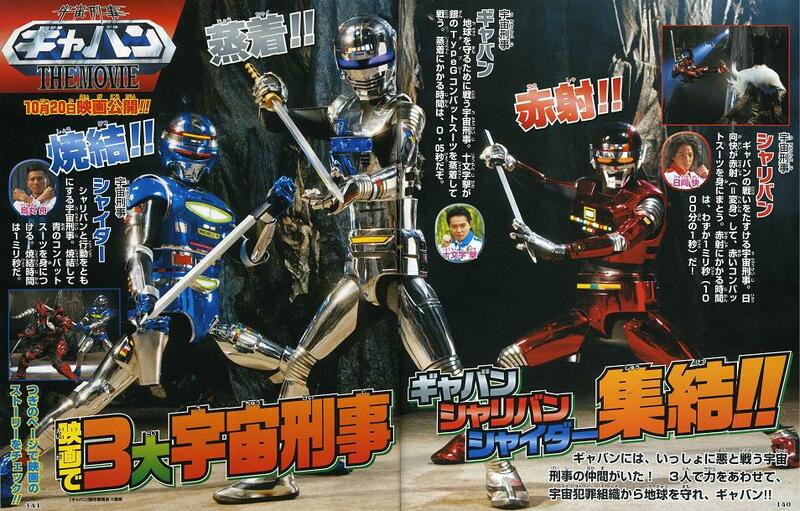 Space Sheriffs Sharivan and Shaider also appear and fight with Geki. The special Blu-ray and DVD Collector's Pack of the movie includes a bonus DVD with making-of, event footage, TV spots, and poster gallery. So hab mir den Film letzte nacht angesehen und er war richtig klasse. Das ich so gut wie nix über Gavan wusste hat kein bisschen gestört und ich konnte allem super folgen. Ich habe mir den Film auch angesehen und er war richtig gut. Das einzige was mich störte, war das er mir an manchen Stellen zu langatmig war. Ich kannte auch nur Gavan aus dem Gokaiger Film, aber das störte nicht um die Handlung zu verstehen. Der Auftritt Kenji Ohba war klasse. Bei Geki und Retsu merkte man das die Chemie stimmte (ich sage nur Makuu Dimension). Ich mochte Geki hier lieber als in Go-Busters, da er im Film mehr Charaktertiefe hatte als in Go-Busters.